The Motor Behavior and Neuroimaging Laboratory aims to improve our understanding of how the brain controls and learns skilled movement with a focus on improving motor rehabilitation in individuals with neurologic diagnoses such as stroke. We are specifically interested in complex movement tasks that have increased planning or attention demands and engage multiple motor-cognitive brain regions for successful performance. 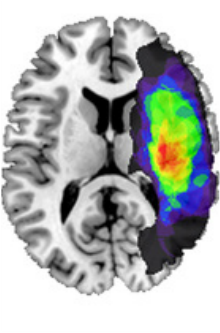 Our research focuses on brain-behavior relationships by utilizing detailed measures of movement (kinematics, EMG), brain structure and function (functional MRI, diffusion tensor imaging, transcranial magnetic stimulation), and clinical measures of impairment, function, and quality of life. Research in the MBNL has been supported by the National Center for Medical Rehabilitation Research at NIH, the American Heart Association, and the Office of Research at the University of South Carolina.